A decade-long observational study of more than 30,000 people finds that certain vitamins and minerals may help extend your life and keep you from dying of cardiovascular disease—but only if you get those beneficial nutrients from foods, not supplements. The study, published this week in the Annals of Internal Medicine, is yet another to find that taking supplemental vitamins and minerals—either individually or in multivitamins—offers no discernible benefits in terms of reducing risks of death generally or death from cardiovascular disease and cancers, specifically. Simply put, popping pills can’t take the place of eating a healthy diet—an unflashy takeaway that likely won’t please the massive, $30 billion supplement industry. Moreover, the study didn’t just find a lack of benefits from supplements. It also found potential harms. Getting high doses of calcium (1,000 mg or more per day) from supplements—but not from foods—was linked to higher cancer mortality risks in the study. Likewise, people taking vitamin D supplements who didn’t have vitamin D deficiencies may have higher risks of all-cause mortality and death from cancers. It’s unclear from this observational study exactly why the same vitamins and minerals had different effects based on whether they were, say, chewed from a salad or gulped in a tightly packed capsule. But, it’s likely due to the fact that our bodies are tuned by evolution to best absorb and use micronutrients at the levels and ratios found in foods. Humans consume foods and nutrients that are highly correlated. The complex interactions among nutrients are likely to play a more important role in determining health outcomes than individual nutrients. Take the case of calcium, for example. Earlier research suggested that regular mega-doses of calcium from the diet—maybe from late-night ice cream binges—can cause the intestines to cut back on how much of the mineral it absorbs, leading to higher calcium levels in urine (more of it gets peed out) and lower calcium levels circulating in the body. In fact, it’s very difficult if not impossible to get too much calcium from foods alone. Regularly swallowing a lot of calcium in a potent pill, on the other hand, doesn’t seem to have the same effect on intestinal absorption, leading to increased levels of circulating calcium and the potential for harms, such as constipation and increased risk of kidney stones. Still, more than half of all adults in the US say they use supplements. Ten percent of us report using four or more each day. Given that, it’s rather important to understand the benefits and risks that they pose. To help do that, the authors of the new study looked at data from a massive survey (National Health and Nutrition Examination Survey) taken between 1999 and 2010 from 30,899 people. More than 27,000 of those participants provided information on the supplements they took as well as inventories of the foods they recently ate. The survey also included demographic and other health data, including whether people smoked, drank, exercised, or had medical conditions, such as cancers and diabetes. The participants gave their information to trained interviewers who surveyed participants in their homes and over the telephone. The study authors then linked medical records of deaths to participants over the survey period. The study captured the deaths of 3,613 participants. Like the general population, a little more than half of the study participants said they took supplements. Nearly 40 percent took multivitamins. 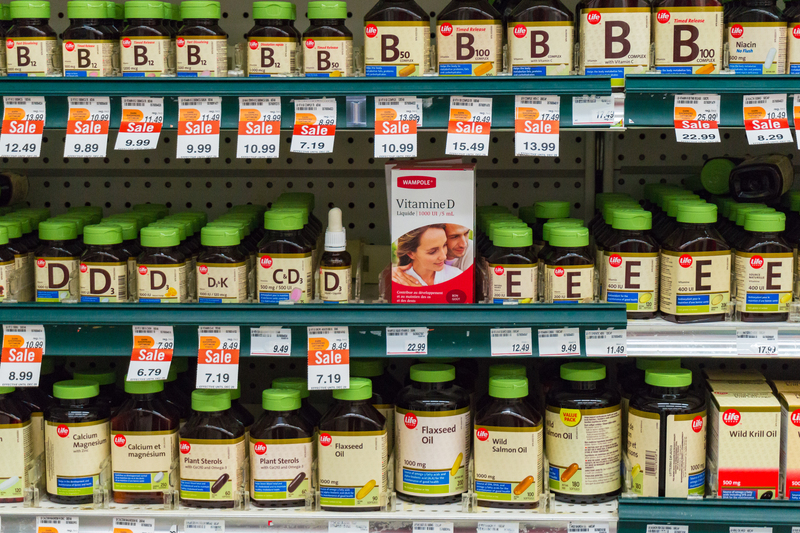 The most common individual supplements people took were vitamins C, D, and E, as well as calcium and magnesium. Based on the supplement and food reports from each participant, the researchers estimated how much of each major micronutrient participants got each day. The researchers broke the estimates down by source (food vs supplement) and noted whether they were below recommended levels, on target, or in excess. When the researchers picked apart effects of individual micronutrients, they found that adequate intake of vitamin K and magnesium linked to a lower risk of all-cause mortality. Also, vitamin A, vitamin K, zinc, and copper were associated with a lower risk of death from cardiovascular disease. But these benefits were restricted to intake only from foods—not supplements. But, before any reader might be tempted to try to bulk-up their diet with foods bursting with those specific vitamins and minerals, the authors add a word of caution. As noted earlier, they suspect that interactions and ratios of nutrients play a role in health outcomes. “Thus, our findings on individual nutrients should be considered exploratory and interpreted with caution,” they conclude. The study also has several limitations, including relying on people to remember the foods that they eat (and honestly report them). Also, it’s an observational study, only able to pick out correlations, not prove that nutrients cause any observed harms or benefits. Annals of Internal Medicine, 2019. DOI: 10.7326/M18-2478 (About DOIs).